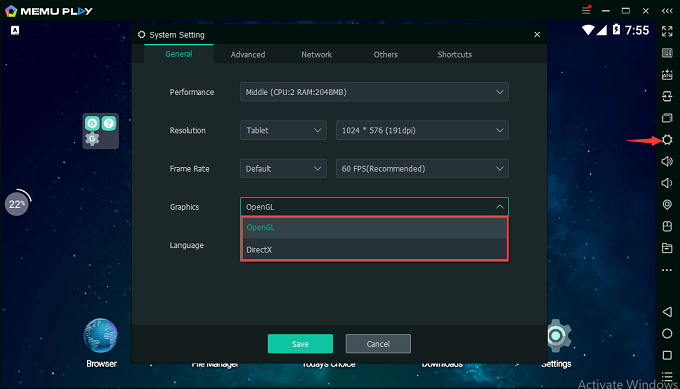 MEMU supports two graphic render modes, DirectX and OpenGL. DirectX mode is default and you can switch to OpenGL mode. It’s recommended to switch them if have issue to play a certain game or run into weird graphic issue. 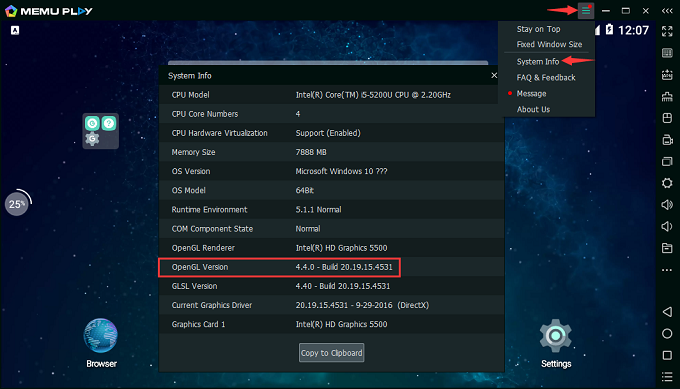 Your graphic driver OpenGL version should be 4.3.0 at least for OpenGL ES 3.0 games. If your OpenGL ES 3.0 or 3.1 game still doesn’t work with MEMU 5.1, please send game info to support@microvirt.com.